Phoenix Therapist: Khara Fuentes - Therapist 85048. Send A Message To Khara. Life gets tough and sometimes it feels like it just keeps giving you lemons. Whether adolescent girls, emerging women or a couple, sometimes we could all use a little help finding just the right recipe for just the right moment with the hope of making things just a bit sweeter. My practice focuses on helping my clients find just the right recipe for their best lemonade. 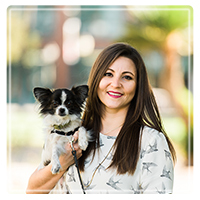 Khara Fuentes is a Licensed Marriage and Family Therapist in Arizona and California. In early 2017, Khara transitioned her practice to Phoenix, Arizona from Pasadena, California. She still sees her Pasadena based clients virtually. Khara offers counseling services to adolescent girls, emerging women and couples. Since 2006 Khara a has provided counseling to children and their families. Khara has been trained and received certifications in numerous therapeutic modalities here are a few of the most commonly used: TF-CBT, DTQI, Triple P.
Khara knows not only children need support, but sometimes their parents or adults in their lives do too! Khara provides counseling to couples using the Gottman Method or using Prepare/Enrich for premarital couples. Whether children or adults, Khara is also trained to provide Eye Movement Desensitization and Reprocessing (EMDR) for those who have experienced trauma in their lives.